Singh is planning to sell his artwork at a starting price of $250,000. He said that his painting Star of Bethlehem “portrays the hope for the world and was created to celebrate equality for all.” Singh took four months to complete his masterpiece artwork. 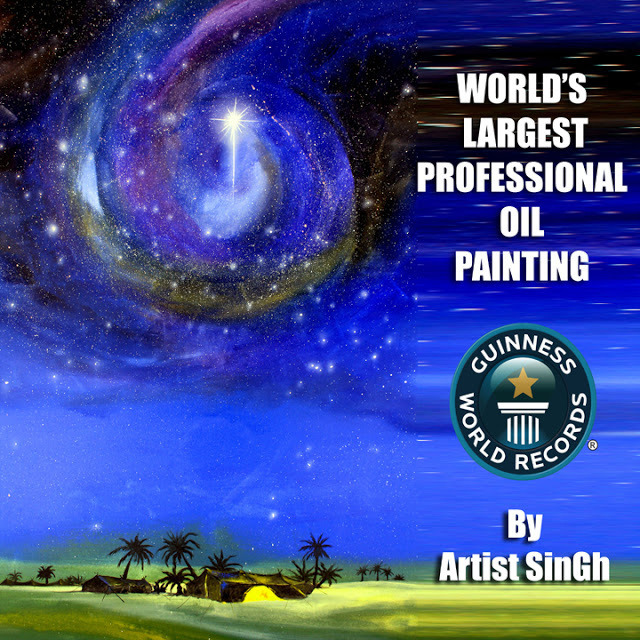 Singh’s oil painting is painted on a single piece of canvas measuring 22.863 square meters. It looks like a panoramic image, which shows a night sky filled with stars, color and light. The painting features a plethora of blue hues and it also portrays animals, caravans, deserts, landscapes, people of the time and their lifestyle.